Despite its comparisons to the Apollo spacecraft, Orion’s designers are quick to point out that while the spacecraft may be similar in shape, we’re talking about a different beast. The form has stayed the same because it minimizes risks caused by the intense heat of re-entry. Orion’s about 30 percent bigger than Apollo, and also has very different, modern computer systems. It’s got “a million lines of software code,” says Lockheed Martin Orion deputy program manager Larry Price. By the time its ready to transport humans into space it will likely have a million more. Orion also has failure detection systems and the ability to reroute itself via a series of thrusters that automatically re-balance the craft. Price believes it’s safer and much more reliable than the Apollo craft. 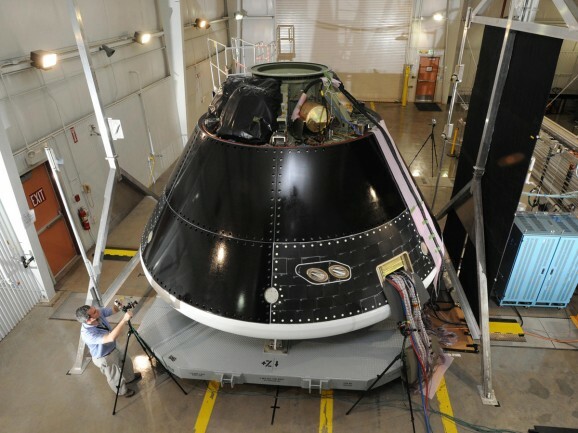 September’s test flight will send Orion roughly 3,600 miles from Earth. Another unmanned mission is already scheduled for 2017, which would use NASA’s Space Launch System mega-rocket. If all goes according to plan, the Orion capsule will eventually take humans deeper into space than ever before, including to the moon, asteroids, and Mars. 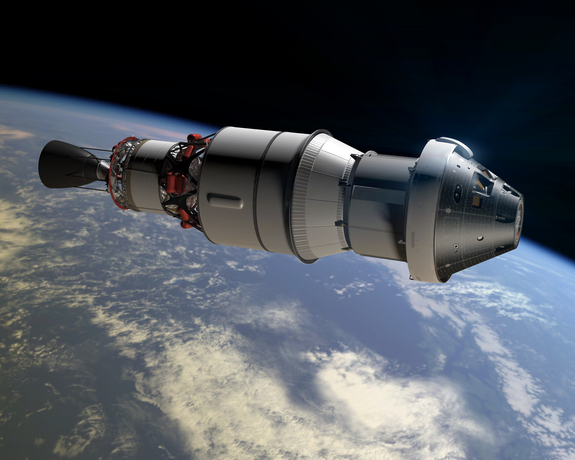 Orion is also NASA’s first new spaceship since the 1970s. The agency’s long-range plan is to rely on private companies to provide transportation to low-Earth orbit and the ISS so it can focus on missions to deep space. It seems that Orion is currently humanity’s best chance at boldly going where no man has gone before.